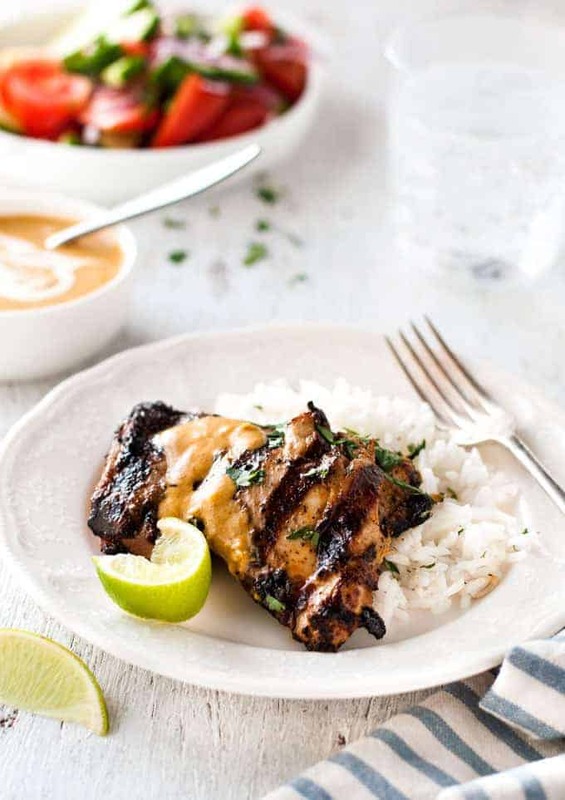 Coconut milk makes a fantastic marinade, tenderising and infusing the chicken with rich flavour. The added bonus is that the marinade makes a fabulous sauce! 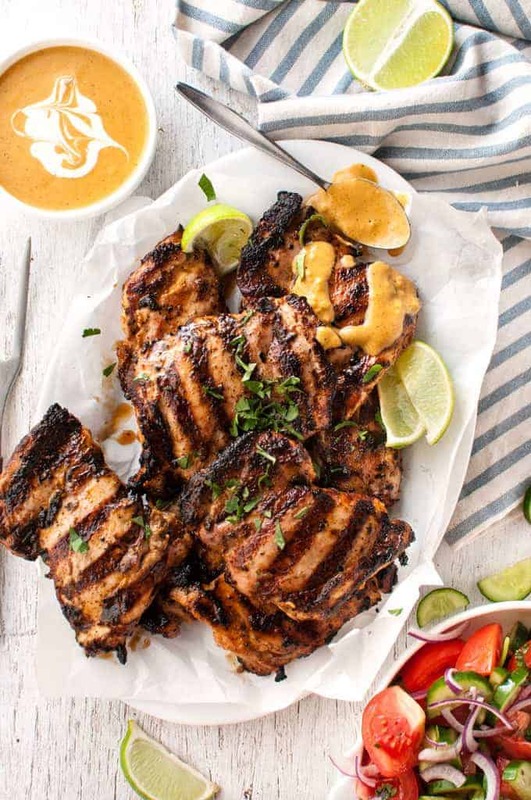 Try grilling this Coconut Marinated Chicken – or cook it on the stove, your choice! This is based on a recipe by Bobby Flay, one of my grilling idols. His shows started airing in Australia a few years ago and I was hooked. I think he is incredibly talented at bringing together unique flavours with familiar ingredients. I have a killer of a 3 ingredient glazed pork chop recipe of his that I regularly use which I plan to share soon. But as for this coconut marinated chicken – I am not actually sure whether he had it on his show. I got it from his book, Bobby Flay’s Barbecue Addiction. He makes this with pork tenderloin and has a relish to accompany it. I tried it with pork tenderloin but found that it was difficult to cook to make it moist and tender on the grill. But the flavour was so awesome that I decided to give it a go with chicken – and scored! It’s sensational! I like to make a coconut based sauce to serve with the chicken, just to really drive home the coconut flavour. It’s made using the excess marinade – but don’t worry, it’s simmered rapidly to make it safe for consumption. 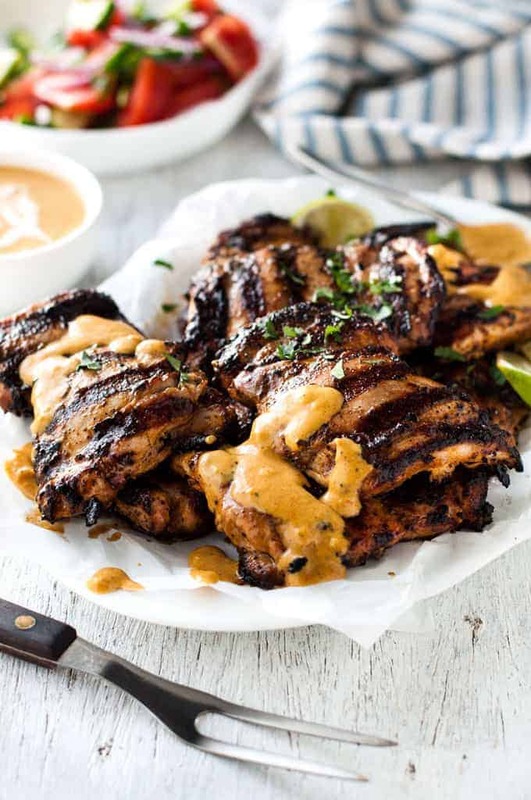 Coconut milk is a fantastic marinade which tenderises the chicken and infuses it with rich flavour. The added bonus is that the marinade doubles as a scrumptious sauce! Cook this on your BBQ or stovetop. 1. 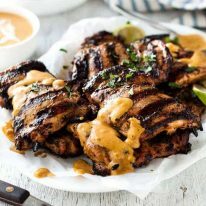 Because the Sauce is made from the Marinade that the chicken was marinated in, it must be simmered for 10 minutes to be extra sure that it is safe for consumption and also to allow the ingredients to meld. 2. Franks is a brand of hot sauce that is probably the most well known in America. It is available in Coles and Woolworths in Australia in the aisle with tabasco, tomato sauce etc. and costs around $2.50 - $3.00. But you can substitute with any hot sauce you prefer - even sriracha! The hot sauce adds spiciness and a very mild touch of sour to the coconut sauce. 3. Adapted from a recipe by Bobby Flay. 4. 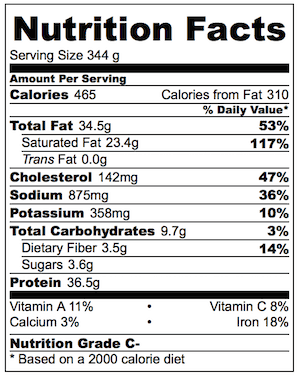 Nutrition per serving, assuming the marinade is made with full fat coconut milk and all the Sauce is used. Has anyone tried this using Thai red or green curry paste? Wow! This recipe is amazing! I made the marinade exactly as the recipe calls for and it was insanely delicious!! I used chicken drumsticks (I read a note on another one of your coconut chicken recipes regarding using drumsticks instead of thighs and I followed the cooking instructions which were perfect) and marinated them for 24 hours. They were so tender and flavorful through and through! I also used your recommendation on the leftover marinade; added water and boiled it down for a solid 20 mins or so. It thickened up and was delicious poured over the coconut rice I served it with. I have shared the recipe with all my colleagues and they are very excited to try it! NAGI, first off love all your recipes… but I can’t for the life of me figure out how to leave a comment.. so i’m replying to yours but its unrelated – lol . i was wondering… so i made this marinade yesterday and chicken breasts have been in it over night.. could i not throw all of this into a crock pot today and have it like a curry over rice? is it safe to do that if the chicken has been marinading in it all night?? i just feel like this marinade is similar to a curry sauce recipe to me. please let me know your thoughts! Yes. It was still very thin and it didn’t taste as you and all your commenters described. Just trying to figure out what I did wrong. The chicken, however, was great. I also made a killer basmati rice, cooked with a bit of onion, cinnamon stick, cumin seeds, cardomom pods and whole cloves to go with it, along with your salad of cukes, onions and tomatoes. Loved everything except that sauce. Regardless, thanks for a great recipe! I’m sure I’ll try it again and, hopefully, get that sauce right. I made this as the recipe as described and the chicken was delicious, especially grilled. Leftovers tasted even better. The sauce was way too thin after adding 3/4 cup of water then it separated. Perhaps due to over cooking it? Hi Nagi, I think I mistakenly cooked it longer than 10 minutes. (Multitasking is difficult for me these days. 🙂 There was a layer of the coconut fat on top. Not supposed to be like that, right? ?? You mean the sauce?? Did you try whisking it back in to incorporate?? I made this tonight & the family loves it. This is really appealing to me. I love cooking with coconut milk! It was very easy to prepare & wildly delicious. I love a recipe where the most intensive part is zesting a fruit! Thanks again Nagi. I know this is an old blog post – but maybe you’ll still see this. I’m making this for my book club dinner tomorrow night. I’m not able to grill it – any tips on temp and timing for baking? Hi Mariah, sorry for the delay responding! Unfortunately this recipe really is best cooked on the stove or grilled to get the caramelisation. But you could bake – I’d do 430F/220C for 15 – 20 min (high heat to try to get some nice browning).